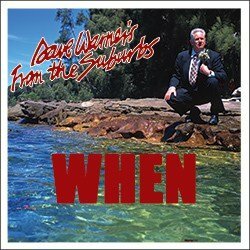 Recorded at Armstrong’s Studio in Perth in 1977, the single was surf garage, a sort of early Beach Boys meets Summertime Blues. The band financed the single as it was prior to our deal with Mushroom Records. Lineup: Staurt Davies-Slate (drums) Haydn Pickersgill (bass) Johnny Leopard (guitar) John Dennison (piano) Dave Warner (vocals). The single was only available in Perth where it sold strongly. The artwork on the label was a pointer to the future, a big Aussie Rules football sitting on a laminex table.